kaChing is trading its blingy Web 2.0 image for something more befitting the Wall Street powerhouse it wants to become. The company is renaming itself Wealthfront today, ringing the closing bell of the NASDAQ, and announcing a shift in focus from talented amateurs to professional mutual fund managers. It’s announcing new functionality that make the site less of a search engine for talented fund managers and more of a personalized, hand-holding recommendation engine. And it’s also announcing a pretty significant milestone: In the last year it has attracted $100 million in assets to its investment platform that seeks to disrupt the clubby and anti-consumer mutual fund industry. CEO Andy Rachleff says that several fund managers wanted to see Wealthfront get to $100 million in assets before they’d take the platform seriously– and they wanted them to change the name to something less “hot money” sounding. Done and done. So what’s the next symbolic milestone to convince even more people the company is a legitimate player? “$1 billion,” says Rachleff and he hopes the company is there in the next 18 months. Ambitious? Yes. But not out of the realm of possibility. There are 33 million households who collectively invest $7 trillion in the stock market in the “mass affluent” segment of the market Wealthfront is targeting, or people with liquid net worths of between $100,000 and $1.5 million. So, the money is out there. The challenge for Wealthfront is convincing this segment — battered by the markets as much as anyone– that it’s actually possible to beat the market with smart fund management. The big shock to Rachleff and founder Daniel Caroll was just how cynical the general public is. Several months into kaChing, they commissioned a Harris Poll that found that only 6% of all US adults “strongly agree” that financial advisors know how to outperform the market consistently. Only 3% of those with financial advisors said they “strongly agree.” Ouch. As an industry, that represents a pretty crushing failure in customer satisfaction, and a big change in mindset Wealthfront has to affect to be successful. It’s relying on numbers to make its case. Wealthfront tries to bring upper middle class investors the same investment methodology that Ivy League endowments use. Ivy League endowments have beaten the broader markets by an average of 10% a year for the last decade, and as a founder of Benchmark Capital who also serves as a board member for the University of Pennsylvania’s endowment, Rachleff knows a few things about how they work. The biggest tool they have is transparency, he says. Most mutual fund mangers only tell investors what they start the quarter and end the quarter holding, but lots of tiny trades in the interim go undisclosed. And frequently, those little trades are hacks to help them meet their quarters, but stray from their stated investment thesis. In other words, a large cap stock fund might trade in and out of small caps if the opportunity is right. That may sound good in the short term, but Rachleff says trading in and out of a strategy never beats the market in the long term and robs investors of the power to diversify their investments the way they want to. To wit: So far Wealthfront has vetted and approved 25 fund managers– less than one-tenth of those who have applied. In the last year, those managers have outperformed the S&P 500 by more than 6%, net of fees. A lot of people will say that means nothing. After all, the fine print on every single SEC statement will tell you that past returns are no indicator of future results. That’s true, but it doesn’t mean you should ignore stats that say who has been good and who has been bad, anymore than a baseball team would ignore past years’ batting averages when signing a new slugger, Rachleff argues. Where were these market geniuses before? They were out there, you just had to be a lot wealthier to invest with them. Some of these managers historically require accounts of hundreds of thousands or even millions of dollars to manage your money. But Wealthfront makes it profitable for these account managers to manage money in much smaller chunks of just $10,000 per account. That means using the Wealthfront platform allows the big fund managers access to a huge new client base. 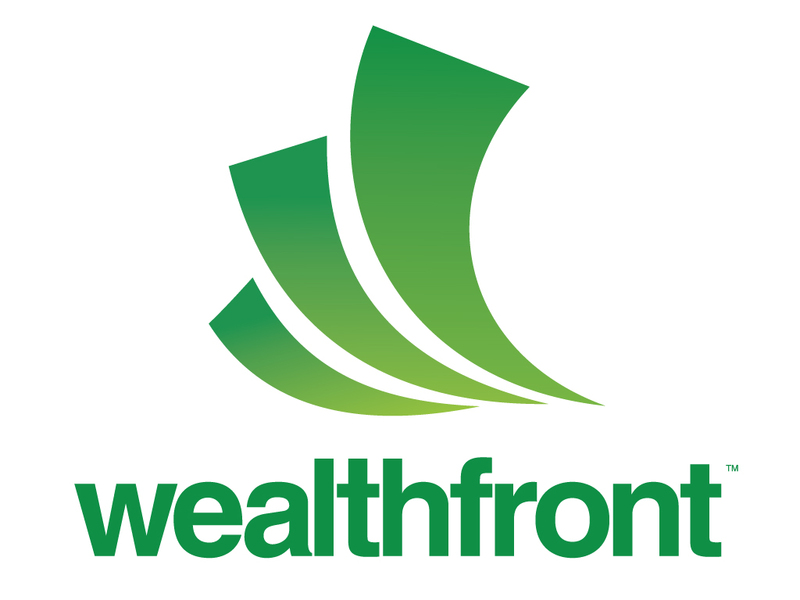 Wealthfront is one of those businesses the finance world needs. If it succeeds, it will be another example of why the disintermediating force of the Internet shakes up industries for the better– and one of the few in finance. The question is whether America’s vast mistrust in the market after the last few years will push investors onto the platform or leave them too jaded to trust anything new– even in the face of numeric evidence.